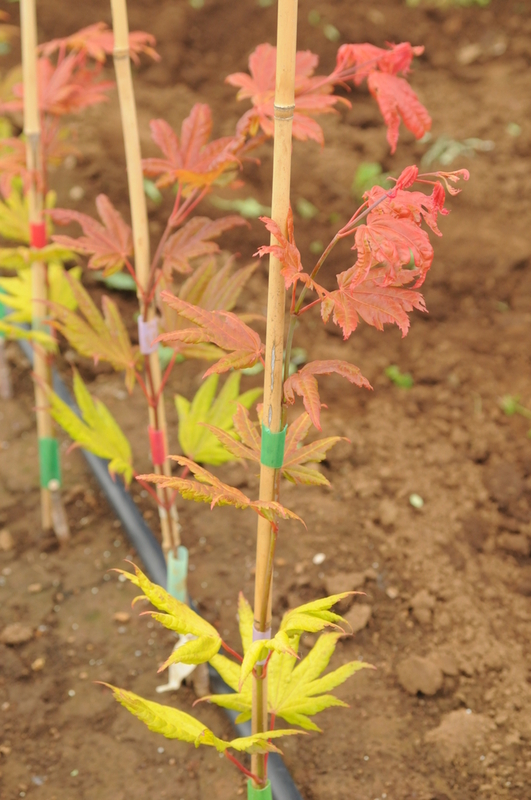 Knockout pink-orange new growth on lime-yellow older growth makes Carl Munn’s selection an enduring contribution to horticulture in a field already crowded with too many marginally different Japanese maple varieties. Moonrise is very hardy and a much tougher plant than ‘Aureum’, withstanding -26°F in Chicago and also adapted if in the shade in Dallas/Fort Worth. 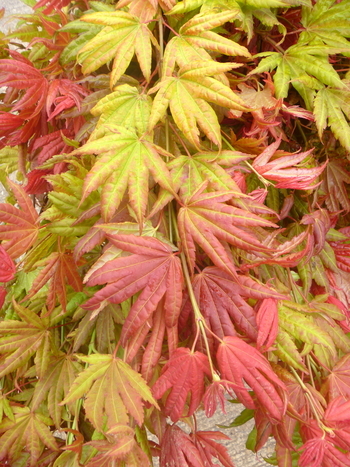 The amazing orange spring and summer foliage sets this selection apart as absolutely different. Order early to assure an annual supply.